The organisers of Wotton in Bloom have launched the 2012 campaign with the announcement of this year's colour scheme. The organisers of Wotton in Bloom have launched the 2012 campaign with the announcement of this year’s colour scheme. 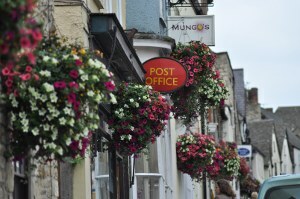 This is the third year running that the main shopping streets in Wotton-under-edge will be adorned with colourful hanging baskets and to mark this special year of Jubilee celebrations they will echo the heraldic colours of scarlet, gold, light blue and white as originally chosen by Constance Spry for the flowers at the Coronation in 1952. Volunteers from the Wotton in Bloom Committee will soon be visiting all the town traders to discuss this year’s project.